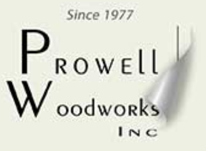 Prowell Woodworks is looking for a working journeyman woodworker/furniture maker in Sonoma County with a shop who is interested in supplementing their existing work flow with regular commissions to build our products. Most notably, our garden gates. There is an online tutorial outlining in detail the construction methodology as well as an explanation of how the out-sourcing process works. You will not be required to provide quotes, designs, drawings, or interact with the clients. p.s: The first few jobs are the exception and involve becoming comfortable with the methodology. Eventually, once you deduct the cost of wood, you can expect your labor rate between $75-$100 per hour. Last edited by Barry; 04-03-2019 at 12:47 PM. Advice from Mathematician or Woodworker?